Black-left bangs the left and takes 16m 58s. Black-right bangs the right and takes the same, 16m 58s. Like most of us, red likes the lift but has to come into the mark on a big header, taking 17m 52s. This is 54 seconds more than the blacks because red is on the outside of a persistent shift. Green does something unusual - it sails on a header and then comes into the mark on a big lift, taking just 16m 9s. This is 49 seconds less than the blacks because green is on the inside of a persistent shift. 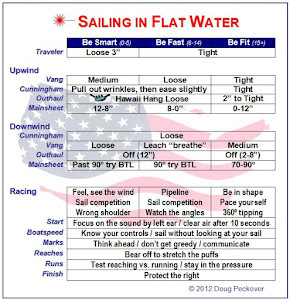 This is simple geometry - playing the shifts correctly means sailing a shorter distance which takes less time. 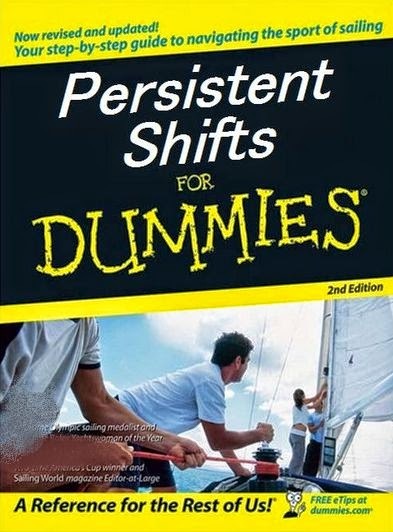 But guessing when a shift is persistent is tricky - most people will stay on a lift like red and go the wrong way. It takes a lot of courage to recognize the shift is going to be persistent and take an early header like green to go the correct way. The first time I learned about this was from Frank Bethwaite who was the Australian meteorologists at the 72 Olympics. Frank told me how amazing it was to watch Rodney Pattisson (GBR) who was the only sailor who recognized the long, persistent shifts at Kiel. Pattisson was the defending gold medalist and would start a leg going the wrong way on a header. This got him inside a persistent shift which only paid off at the top of the windward leg. Pattisson again won gold. So Roberto's diagram is great because it quantifies the amount you can win or lose by not reading a persistent shift correctly. It's also great that most sailors don't sail at places like Kiel that have persistent shifts to worry about. The definition of a persistent shift is when the wind shifts one way and does not come back. 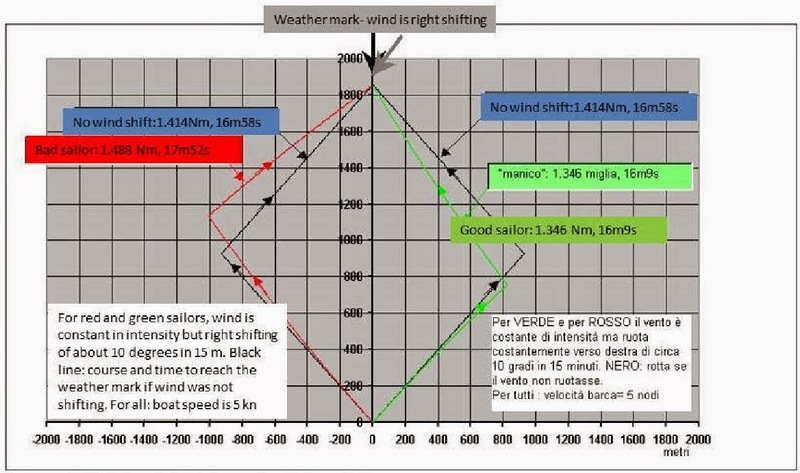 In Roberto's diagram, the wind starts in a neutral position and goes right. If a shift cycle has 4 parts (go right, come back, go left, come back) and a leg takes less time to sail than a 1/4 of a shift cycle as shown in the diagram, then whatever the wind is doing is persistent. So it would make sense that the shorter the windward leg, the more likely the the shift will be a persistent shift. So the shorter the leg, the more you want to take an early header to get inside the shift. So, how often does this happen? (Drumroll). Every windward leg! As we get closer to the windward mark, the remainder of the leg gets shorter and shorter. So, you guessed it, the top part of every leg has a persistent shift. Some fun with numbers: Roberto's diagram has red losing 54 seconds and green gaining 49 seconds. If the wind completes one complete shift cycle (go right, go back, go left, go back) on a windward leg, then the top 1/4 of the leg has a persistent shift. This means that starting that part of the leg on a lift (red) means losing 54/4 or 13 seconds and sailing on the header (green) that gains 49/4 or 12 seconds - a total of 25 seconds!! If there are two complete shift cycles on the leg, green gains half of that, or 12 seconds on red. How many times have we had good upwind speed only to round in traffic 12-25 seconds behind the leader who is in clean air? 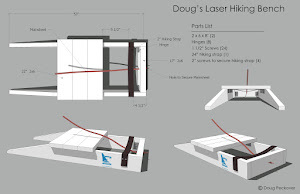 Hi Doug, your last sentence is also true viceversa: it also happens that you gain 12-25 seconds and you don realise why....! 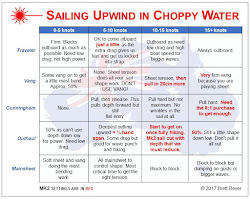 This is one of the most tricky things, in my opinion, about sailing, i.e. to decide whether to tack or not in a shift, arguing about persistency and considering the position of the other sailors, the mark, etc. Pam loves your comment and wants me to write a post about what a sailor, who is not used to being at the front of the fleet, can do to stay there. That will be my next post.